Prakash Raj and Mohanlal had last featured together in Mani Ratnam's 'Iruvar' 20 years ago. Mohanlal - Express Photo by A Raja Chidambaram. THIRUVANANTHAPURAM: Mohanlal and Prakash Raj are coming together after two decades in the most expensive Malayalam film 'Odiyan', an untold story of Malabar region's tribesmen. Helmed by V A Shrikumar Menon, ace advertisement film maker, the shooting of 'Odiyan', with Mohanlal in the lead, will commence on May 25. Actress Manju warrier will play the female lead in the film, which will be adapted in Tamil and Telugu also, Menon said. Talks are also being held to bring in a Bollywood superstar, who will play a very important role in the film. "This is going to be a film, the story of which has never been a subject of Indian cinema before. It will be adapted in Tamil and Telugu as well," Menon told PTI. The film is based on the life of a tribal community of a remote village of Palakkad-Malabar region who have the extra terrestrial power to transform themselves into animals and scare people. "Their story has not been told so far... It is an untold story... will tell Kerala's growth over a 50 year period,' he said. It would be a thriller about a tribal community and unfolds the story of a 'superstar odiyan', whose fame spread across the border, he said adding the film would be shot at Palakkad, Thazarak, Pollachi, Varanasi and Hyderabad. The film was likely to hit theatres by November end this year, he said. 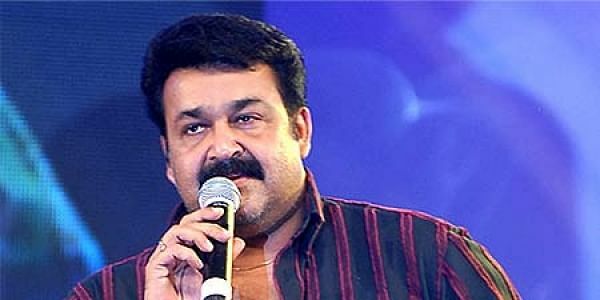 Announcing the project, Mohanlal has said in a Facebook post that the film was guaranteed to be a 'visual treat'. "Lal has mind blowing action sequence and emotionally charged character, one of the best in his career," Shrikumar says. Manju Warrier also has an important role in the film. "All the three charcters of Lal, Prakash Raj and Manju will be essaying three stages of their lives," according to the director. Scriptwriter and senior Journalist with Malayala Manorama, Harikrishan, who won the National Award for best screenplay for Shaji N Karun directed 'Kutty Srank' (The Sailor of Hearts), has written the story and screen play for the film. 'Mohanlal and Manju will be portraying strong characters', Harikrishnan said. This film, which will be mainly shot during night, will be a magical treat for viewers, he said. "I have grown up hearing their story (tribals). It has been my long time dream to pen such a story which will enthrall people of all age groups," he said. The film will be produced by Antony Perumbavoor under the banner of Aashirvad Cinemas.